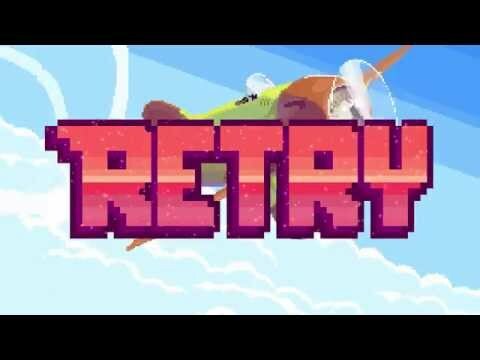 RETRY puts you in control of a loop-the-looping, 16-bit airplane. Master the one-touch controls and navigate your way through treacherous obstacles with hair-raising stunts. It won’t be easy so get ready to RETRY! Pocket Gamer UK, Gold Award Winner! - The option to make in-app purchases. The bill payer should always be consulted beforehand..
RETRY gets an upgrade!- NEW WORLD – Welcome to the jungle, baby! 16 NEW JUNGLE LEVELS stretch your plane-handling skills to the breaking point!- Put your RETRY prowess to the test with NEW ACHIEVEMENTS!- NEW WORLD MAP – more mappier that the last map!